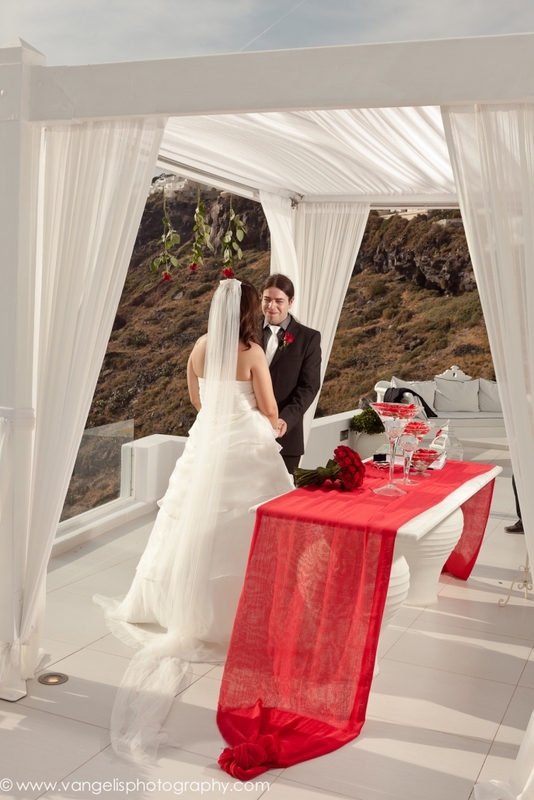 On 14.05.2012 Anna & Joel’s Dream of an intimate White & Red Wedding became reality on the Dana Villas Wedding venue by wedding planners Amalia and George from Poema Weddings. 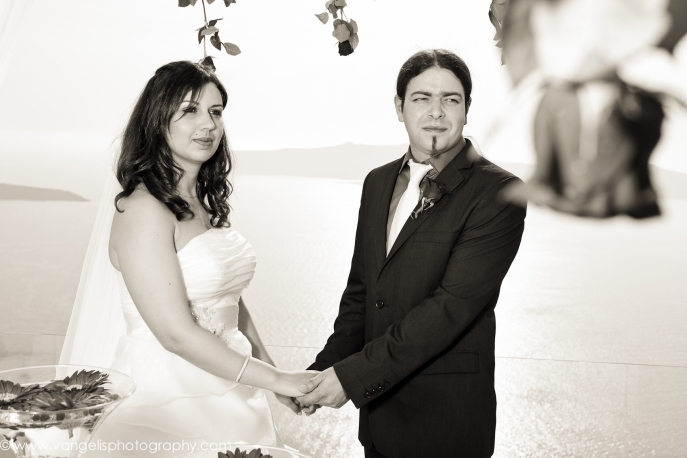 The young couple had travel from Porto in Portugal as they had fallen in Love with Santorini and wished for the most important day in their lives and their new life as one to begin on our Beautiful island. Special attention was given to minor details and objects that Joel had requested from Poema as a surprise for Ana. 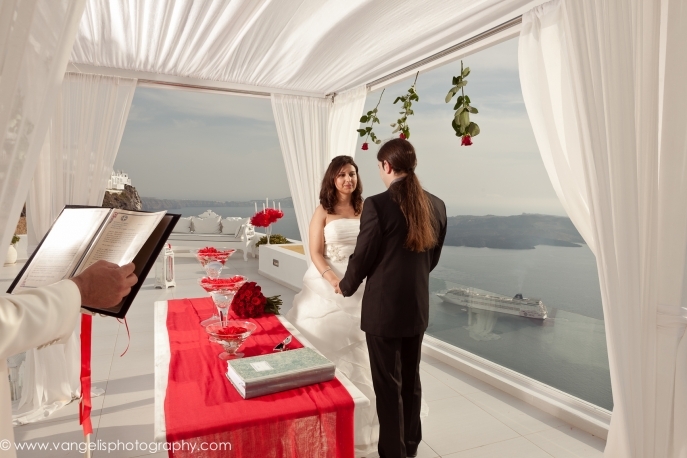 Joel and Ana approached the wedding terrace and took their place behind the marble table under the wedding canopy where they were greeted by the Santorini town hall’s registrar Mr. John Kavallaris and he began to guide Ana and Joel through the official wedding vows. The moment of the ceremony conclusion overwhelmed them both as they could not resist but to lose themselves in the moment and enjoy a romantic first dance as Husband and Wife together in each other’s arms. Soon with Santorini Photographer “Vangelis photography” they left for an hour’s walk in the surrounding cliff side traditional settlement where at the same time Amalia and George got to work with converting the Dana Villas wedding venue into the couple’s desired setting for their private dinner that was to follow once they returned from their location photo session. 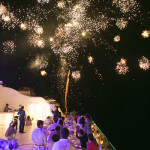 Joel had arranged with their event planners for various items that had special meaning for Ana to be present at the dinner table as a surprise to her but the real surprise was something that neither Ana nor Joel could have imagined as at the Same time the Santorini Fireworks company Skylight had arrived and had positioned a fireworks just 50meters from our wedding terrace ready to launch when the event planners would give the signal. The couple soon arrived and after having ordered what they desired for dinner decided to have one more dance to their favorite song. The timing could not have been better as this being a surprise the wedding designers could not but wait for the perfect moment that no one knew when this was going to be. George gave the “GO” signal and the Santorini sky lit up with a spectacular fireworks display of over 180 continuous shots ranging from 40 to 120 meters in high and consistent of all colors and explosion forms and types. Ana and Joel could not believe what was happening as the fireworks caught them completely by surprise. 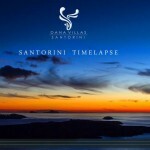 Santorini Photographer Vangelis was swift to capture the entire show as he was well prepared for what was going to happen. Overwhelmed by the moment they watched their spectacular fireworks show speechless from joy in each other’s arms. An amazing surprise for an amazing couple on the special day they had dreamed of for so long.